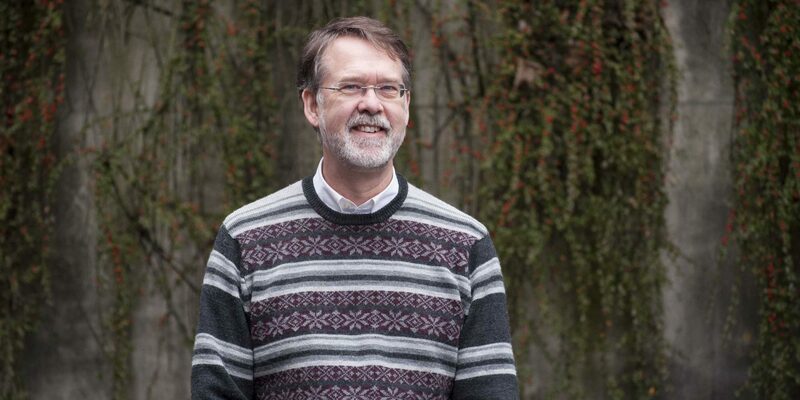 Bruce Hiebert can trace his roots with Communitas back to 1991, when the organization was still a part of the Mennonite Central Committee BC. At the time, MCC BC was considering how a property with a greenhouse on it might be used to support its work. After many discussions, it was decided that Bruce would write a proposal to Fraser Health for a program called STEP: Support Towards Employment Program. The proposal was accepted and for several years it supported people living with mental health challenges by giving them work experience in the greenhouse. 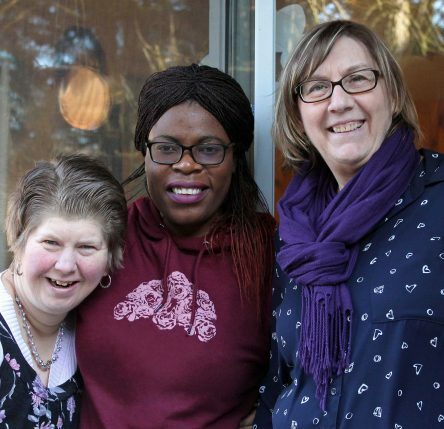 Although the greenhouse is no longer in use and the property since sold (to the Fraser Valley Gleaners), the STEP program continues to give valuable employment support and job search training to individuals referred from Fraser Health. In addition, STEP offers work experience through two social enterprises, ShredMasters and ValleyRecycling. Bruce went on to other work but always stayed connected to Communitas both on a professional level and on a personal level. For several years, Bruce and his wife cared for their nephew who lives with developmental disabilities. “Communitas helped us find resources to support him and also provided us with respite care, which was of enormous help to us,” he says. So when he was approached about sitting on the board at Communitas, Bruce felt it was both a coming home and a way to give back. It was also a transitional time for the organization and he felt that he had specific skills to contribute. Bruce’s experience on the board has been very positive. He appreciates that the board includes people with a wide range of ages, experience and abilities. He also has high praise for Communitas’ staff. “I am delighted to be on a board with a staff that is as competent as the staff is at Communitas. It is extraordinary,” he says. After six years on the board, he has seen Communitas go through the successful transition of hiring Karyn Santiago as its chief executive officer, celebrate its 40th anniversary, come through its fourth accreditation process with perfect marks, and more. He believes that the organization’s strengths include a commitment to strategic planning and a staff that is motivated by those plans, putting them into action. When asked what he wishes others would come to appreciate about the people served by Communitas, he reflects that those who live with developmental disabilities are no different than anyone else. Bruce is looking forward to Communitas’ Annual General Meeting, in part because this year it will be held at the new ShredMasters/ValleyRecycling warehouse, where STEP is now offered. For Bruce it will be a chance to see how much his own contribution to the organization has grown. It will be an opportunity to hear stories from those impacted by the work of Communitas and to see where the organization is going in the future. The Communitas AGM will be held November 23rd at #102 – 33445 Maclure Road in Abbotsford with tours and refreshments beginning at 5:30 pm and business meeting to follow at 6:30 pm. All are welcome. Join us for our AGM on November 23rd beginning at 5:30 pm. No matter where Celestina has lived, she has always sought to serve her community. Since 2015, she has served as a volunteer on the board of Communitas. 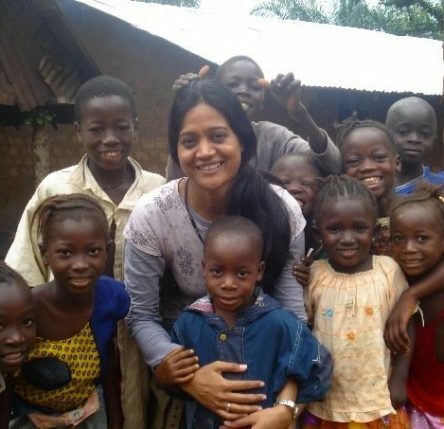 Astina has built her life around serving others. 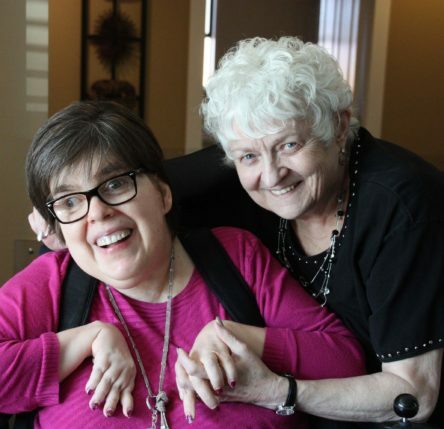 Today she serves people living with disabilities here at Communitas – service that gives her great joy.